Cynthia Nixon attends the 68th National Book Awards at Cipriani Wall Street on November 15, 2017 in New York City. Cynthia Nixon finished off her outfit with a pair of olive-green suede pumps. 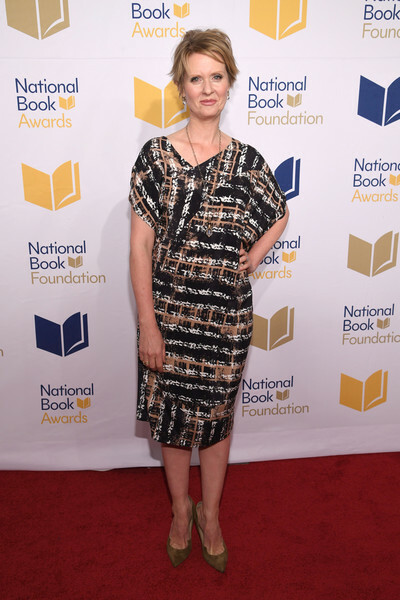 Cynthia Nixon attended the National Book Awards wearing a plaid midi dress.